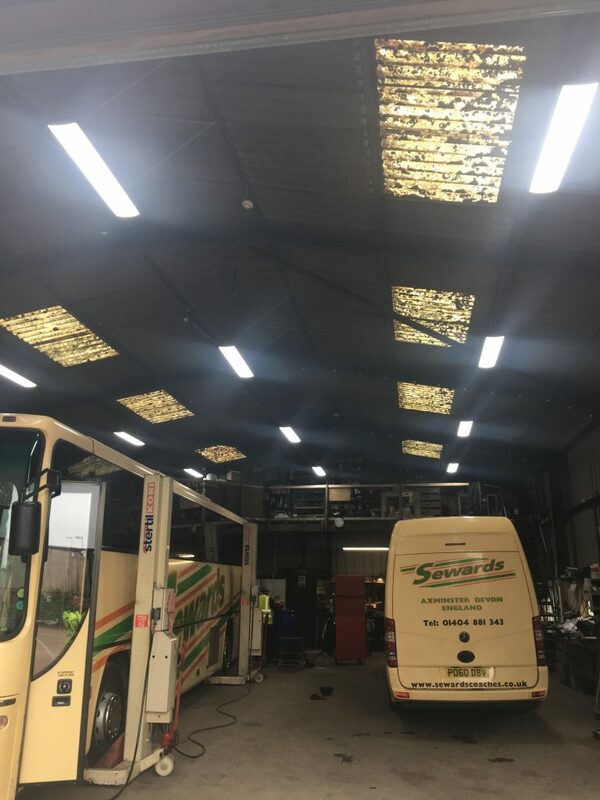 Wesco Systems were recently approached by Sewards Coaches (based in Devon) to undertake a series of electrical works within their workshop. 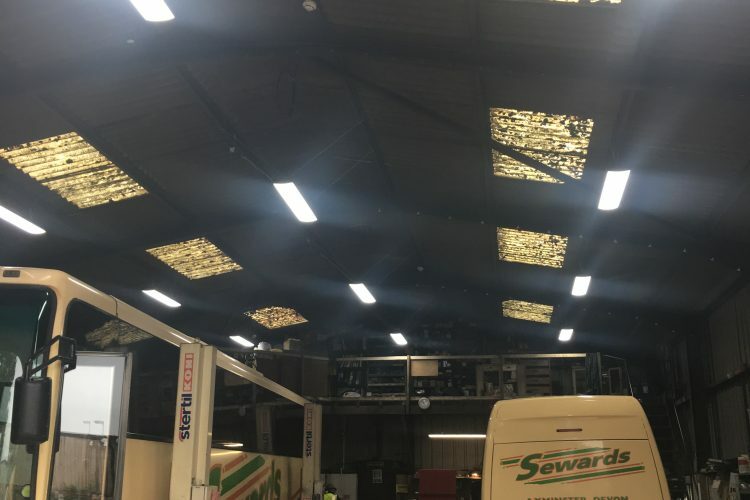 This included the disconnection and removal of their existing lighting, before installing new cabling and JCC Toughbay LED lighting, both at ceiling height and below the mezzanine to provide light for the work benches. 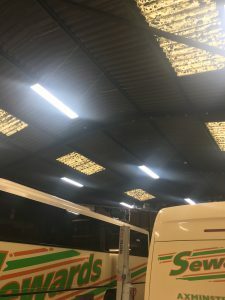 Extra socket outlets were put in, as well as new supplies for air filters ahead of fitting the air filters. 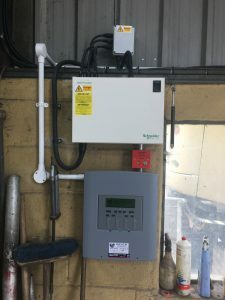 All equipment for the new fire alarm system was supplied by Wesco, before our alarms engineers carried out the installation of the system. All necessarry testing, cetification and instruction was carried out on completion.